Lexington Law, the trusted leaders in credit repair, is the nation’s largest law firm that focuses on helping consumers challenge inaccurate negative items on their credit reports. Past clients have seen an average of 10.2 negative items removed in the first four months! Lexington’s team of lawyers and paralegals know everything there is to know about consumer laws and how to leverage them to help you improve your credit report so you can work toward a better score. They have been helping consumers escape the despair of unfairly reported credit for over a decade. They have also helped their clients as a whole see millions of negative items removed from their credit reports. Since 2004, hundreds of thousands of clients have worked with them to get credit reports that accurately describe their credit history. Lexington Law assists their clients by challenging creditors, as well as credit bureaus, to make sure the items reported on their credit reports are accurate. Companies that grant credit to consumers make mistakes all the time – and Lexington Law reviews your credit report with you and challenges creditors to remove or correct them. They are relentless in this endeavor as they comb through their client’s credit reports. All it takes is a single stroke of a pen or click of a mouse for credit companies to damage consumer’s credit history for up to seven years. A good advocate law firm places the burden of proof back where it belongs – on the creditors and credit bureaus. It’s simple – if a creditor cannot provide proof that an item on your report is fair, accurate, and substantiated, the negative item must be removed from your credit report. If you keep your balances low, avoid making inquiries on your credit, and manage your credit wisely, reducing the number of negative items on your report, your score should begin to improve. A couple of years ago, I lost my job and was going through a really rough time. Everything in my life just came crumbling down on me at once. It was a very stressful time. I was desperate and broke. I simply couldn’t pay my bills anymore. It was very embarrassing for me. My small emergency fund was depleted after a couple of months. Eventually, I decided that bankruptcy was my best option for moving forward. I was finally relieved of all my debt, but the financial problems didn’t stop there. My credit was so horrible that I couldn’t qualify for any loans. Again, very embarrassing for me. One day I just decided I wasn’t going to live like that anymore. I eventually got a new job, changed my spending habits, and promised myself I would no longer live paycheck to paycheck. I had saved up a much bigger emergency fund in case anything like that ever happened again. I spent hours and hours, night after night trying to find a solution to my credit problems. I didn’t want to wait 10 years before being able to get a loan. I knew there had to be a way around it. I eventually turned to a friend of mine who told me that he had signed up with a credit repair company. I was very skeptical, but I did some research and read some Lexington Law reviews. I also trust my friend’s recommendation, so I give them a call at (800) 220-0084 and spoke to a credit professional who was very friendly and understanding of my situation. I started to believe that maybe this was real and I didn’t have much to lose, so I signed up. After signing up, all you can do is wait. 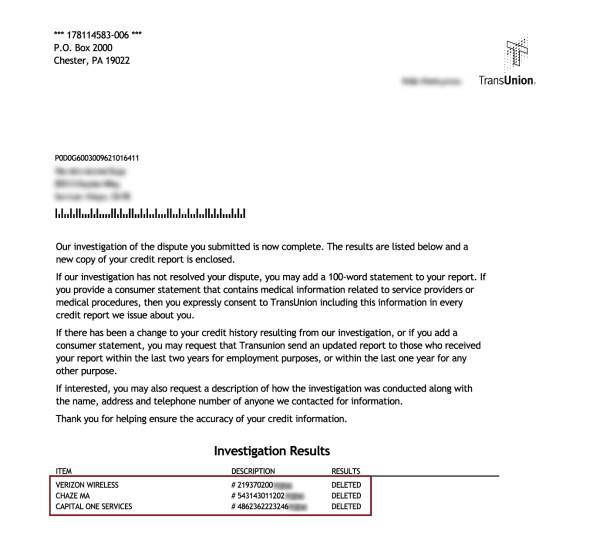 It seemed like forever, but after about 3 weeks, I started receiving letters in the mail from the credit bureaus saying that the negative items on my account have been deleted! I was shocked! So, I checked my credit score again to see if it made a difference and was once again shocked that all 3 scores had gone up about 20-25 points! Over the next few months, I kept receiving letters and my credit scores kept going up. Talk about the best feeling in the world! I cannot say enough about how much they helped me out. I would never have been able to get out of my financial situation without their help. I wouldn’t have known where to start because most of the reviews from other credit repair companies I read were awful. It was great to have a team of professionals stepping up to the plate and going to bat for me. Now, whenever I hear a friend is need of credit repair, I suggest they give Lexington Law a call. MY ONLY REGRET IS NOT SIGNING UP SOONER! “I just wanted to thank you and tell you that your system is going to be able to put me in a home almost two years earlier than I originally expected to. My credit score has jumped over 60 points in the last 6 months to a very respectable level and now when I apply for a mortgage I will be able to name my price. Does Lexington Law really work? “Is Lexington Law a scam?” or “does this really work?” are some of the first questions that we always hear. We understand your skepticism. The answer is yes, they really do work and no, they are not a scam. For over 28 years they have helped hundreds of thousands of clients. In 2017 alone, they had over 10 million items removed for clients. While some clients will have better results than others, their track record speaks for itself. How do they repair your credit? 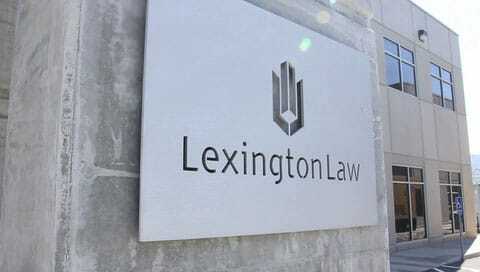 Lexington Law leverages your consumer rights to dispute unverifiable, misleading, untimely, incomplete, or inaccurate negative items with the credit bureaus. They work with you to make sure your credit strategy is the most effective and then take the appropriate actions when engaging with the credit reporting agencies and your creditors. Here’s what the process looks like step by step when you choose to work with Lexington Law. First, Lexington Law helps you access your credit reports from the three primary credit bureaus: Equifax, Experian, and TransUnion. Using that information, they can formulate a plan for your unique situation. Next, you’ll have both an attorney and a paralegal assigned to your case. They’ll begin the correspondence process with the credit agencies on your behalf. Your legal team uses their expertise to use credit repair strategies that are specifically matched to the negative items on your credit report. Once the process begins, if you’re a Concord Premier client, you’ll receive a credit score improvement analysis every month. Their team also provides you with quality tips on how to fix your credit with actions you can take. If you want more personalized coaching, you’re welcome to contact a paralegal at any time over the phone, email, or even website chat. Additionally, all Lexington clients are entitled to check on the status at any time on the firm’s web and mobile app. You may also start receiving responses to your disputes directly from the credit bureaus. Once you do, send that information to your Lexington case team so they can update the status of each dispute. They may also escalate the dispute depending on the response from the credit bureau. 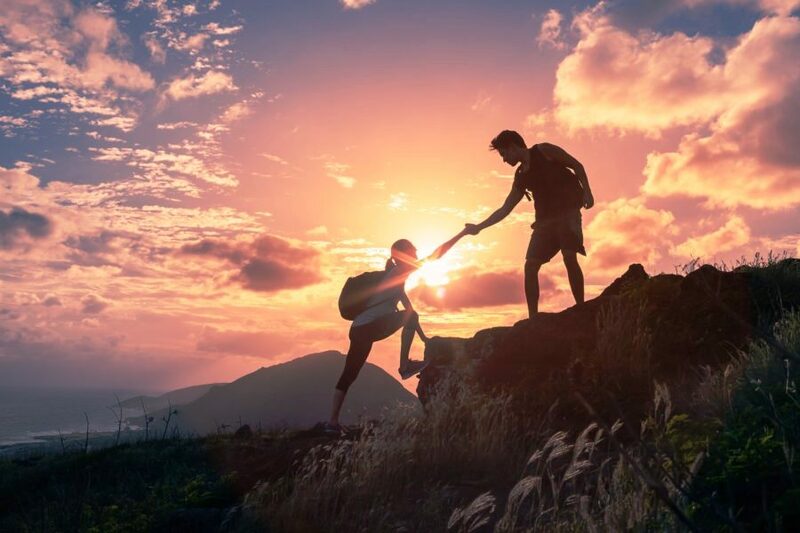 From start to finish, Lexington Law is accessible to address your concerns and is on top of your case in order to achieve the best possible outcomes. Just be sure to track correspondence from the credit bureaus since the paperwork is sent to you even with Lexington Law representing you. How fast they work always depends on your unique situation and how well the credit bureaus and your creditors cooperate. Obviously, if you have more negative items, it will take more work and more time to completely repair your credit. No, there are no guarantees involved with legal services. Just like in a court of law, an attorney could never guarantee a client a specific outcome. The same goes for dealing with the credit bureaus and your creditors. It’s impossible to predict how they will respond. What kinds of credit problems can they help you with? It’s possible to have any of these items removed from your credit report. That doesn’t mean they will be, as again, there are no promises or guarantees, but they absolutely can be. Yes, on rare occasion, a negative item that was recently deleted may be verified by the creditor. The Fair Credit Reporting Act requires that the credit bureau informs you before they re-report a previously deleted listing. They also have a limited time of 5 days to re-report the item once it’s been deleted, after that it is a violation of the FCRA. The FCRA makes it difficult for credit bureaus to re-report listings and that’s why it rarely happens. Lexington Law vs. Sky Blue Credit – who’s better? We get asked this question all the time, as these two credit repair services are the most popular. While we have Lexington Law ranked higher, it’s important to know that Sky Blue Credit and Lexington Law are both excellent companies. We have laid out all of the pros and cons for both companies in our reviews and encourage you to check them both out and decide for yourself which one you think will work best for you. They are located in North Salt Lake, Utah. However, they serve the whole country. They are available in most states and have offices in several states; however, there is no need to visit them in person. All services and communications can be taken care of online and over the phone. They offer 3 levels of service: Concord Standard, Concord Premier, and PremierPlus. Concord Standard is $89.95 per month. This is for their basic credit repair services. Concord Premier is $109.95 per month. Concord Premier offers credit monitoring, assistance with credit inquiries and other services not offered on the Concord Standard plan. PremeirPlus is $129.95 per month. PremierPlus includes all of the services of Concord Standard and Concord Premier service levels, plus will also receive your FICO® Score based on TransUnion data each month. You also get real-time identity fraud alerts and other tools to manage your personal finances. Yes, they are now offering 50% off the first work fee when couples or family members sign up together. The one-time 50% discount will be automatically applied to both you and your spouse’s first payment. Active military members also qualify for a one-time 50% discount off the initial fee. They can be reached at (800) 220-0084 during business hours. If calling after hours, you can leave a message. You can cancel at any time. There are no contracts or obligations. For the best results, we highly recommend giving them adequate time to do their work and then cancel when you are satisfied with your results, however, if for any reason you want to cancel, you can do so by calling them.